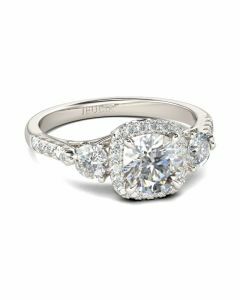 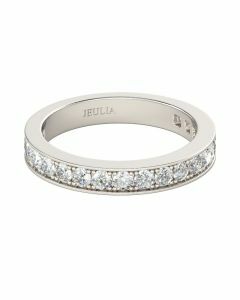 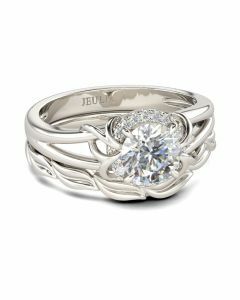 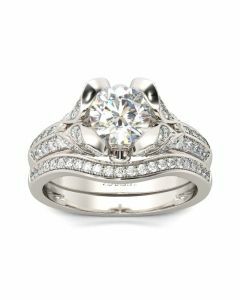 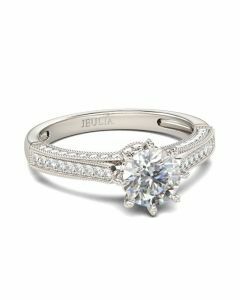 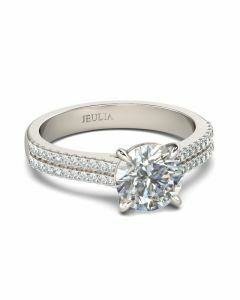 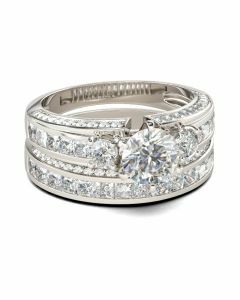 Beautiful and elegant, this three stone ring is an elegant choice you'll love. 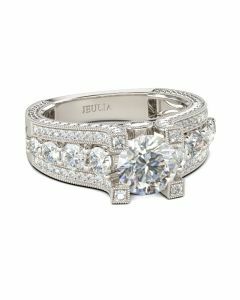 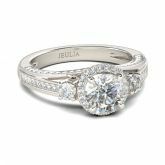 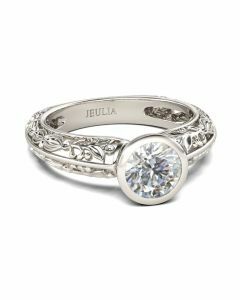 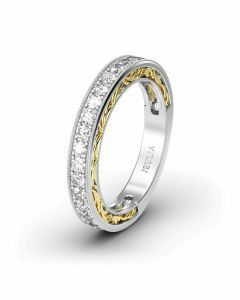 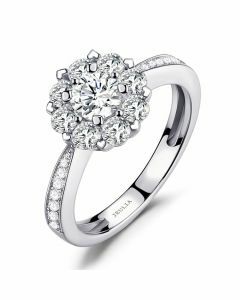 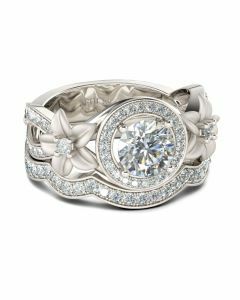 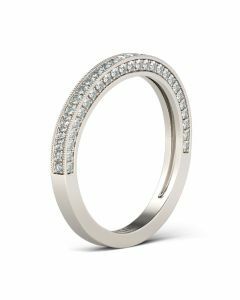 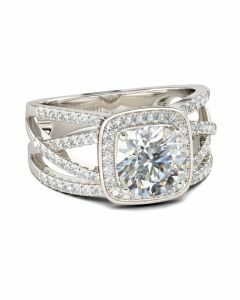 This design features a shimmering round cut stones wrapped in a halo frame, bringing out its beauty and sparkle. 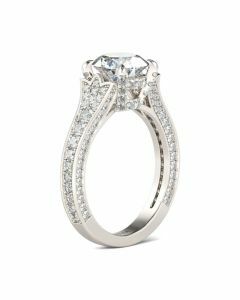 Two shimmering round stones flank the center stone, creating a truely sparkling look. 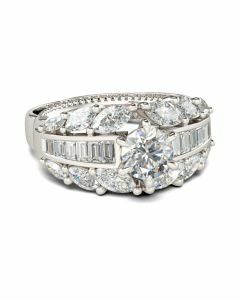 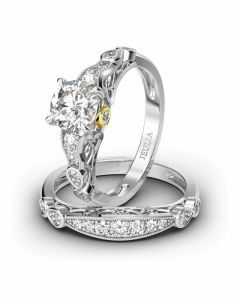 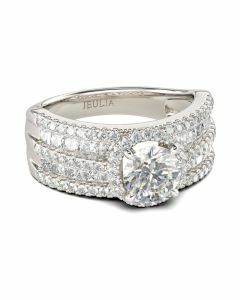 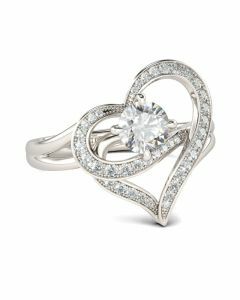 Glamorous and classic, this exceptional ring set will forever express your eternal love and undying commitment.